Texas A&M softball signed six of the nation's top recruits to National Letters of Intent, head coach Jo Evans announced Wednesday. The signees will join the program in the fall of 2019. 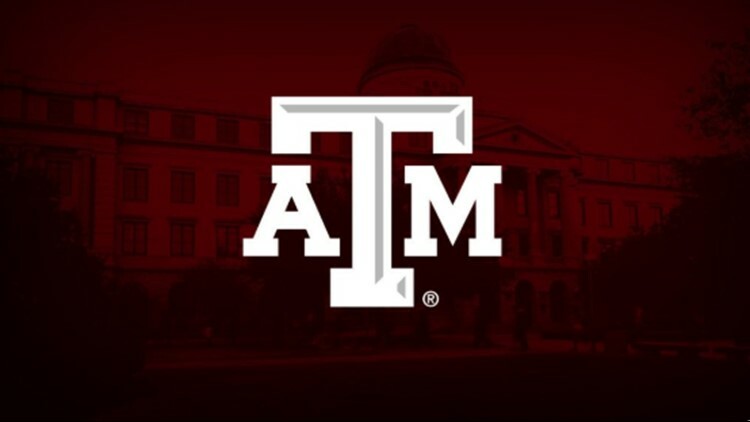 COLLEGE STATION –Texas A&M softball signed six of the nation's top recruits to National Letters of Intent, head coach Jo Evans announced Wednesday. The signees will join the program in the fall of 2019. Signing NLIs are P/OF Shaylee Ackerman (Mesa, Ariz.), INF Jourdyn Campbell (Kingwood, Texas), P Ashley Daugherty (Templeton, Calif.), OF Star Ferguson (Sugar Land, Texas), UT Sydney Fritsch (La Grange, Texas) and INF Hailey Gallegos (Whittier, Calif.). "Our 2019 Signing Class is versatile and very talented," Evans said. "They are an athletic group and I expect them to come into our program and make an immediate impact. They will make us better offensively and defensively. This class has been verbally committed to A&M for years and they've had time to grow in their knowledge of our program and university, and to understand and buy into our culture. This class also excels academically. Every one of these student-athletes is a high achiever in the classroom. I'm very excited to get this group on campus next fall." Ackerman adds depth to the Aggies' pitching staff as the right-hander was named to the azcentral.com All-Arizona Team and MaxPreps Underclass All-American Team in 2016 and 2017. As a freshman, Ackerman posted a .462 batting average with 13 home runs and 48 RBI, and held a 3.52 ERA while recording 13 wins in the circle. The following year, she hit .500 with 13 home runs and 48 RBI while holding a 2.25 ERA and .800 win percentage from the rubber. Ranked as the nation's No. 30 prospect by FloSoftball, Ackerman broke the single season (13) and career home run (26) records at Desert Ridge High School. She is a member of the Firecrackers organization coached by Sean Brashear. "Shaylee is an outstanding athlete. She is one of the most talented hitters in the country and will add power and production to our line-up," Evans added. "Shaylee loves to play the game and has the ability to contribute on the mound and in the outfield." Campbell was named the 2016 District 21-6A Rookie of the Year after batting .545 with a .964 slugging percentage, nine doubles, four home runs and 12 stolen bases at Channelview High School. The No. 19-ranked prospect by FloSoftball moved to Kingwood High School in 2017, where she was selected as the Kingwood High School Rookie of the Year and earned first team all-district recognition. In her junior campaign, Campbell posted a .414 batting average with 11 home runs, 10 doubles and 45 RBI to earn numerous awards, including first team all-district and Kingwood High School Offensive MVP. The infielder earned Extra Inning Softball First-Team All-American status after her performance in 2018 and was selected to the TGCA 6-6A All-Star team. The USA Elite Select 30 All-American infielder and outfielder is a USA Junior Olympic Cup All Star. Campbell is a member of 18U Impact Gold, coached by KC Jackson, where she has been named team captain and team MVP for the sixth-ranked team in the Fastpitch News Super 60. She helped her team to a fourth place finish at Triple Crown Sports Nationals and a ninth-place finish at PGF Nationals. The three-time all-academic team honoree is also a member of the Executive Council, Softball Speaks Club and National Society of High School Scholars. Her father, Sam Campbell, played basketball at Rice University. "Jourdyn is a great athlete," Evans stated. "She can play any infield or outfield position and is an outstanding hitter. She has strength, speed, athleticism and a strong work ethic. Jourdyn is the whole package." Daugherty is a four-year letterwinner at Templeton High School under Keith Swank. The 2016 San Luis Obispo County and North County Player of the Year posted a 0.44 ERA with 293 strikeouts and a .443 batting average as a freshman, earning her first team all-state honors. During her freshman campaign, the right-hander recorded two 20-strikeout games and two 19-strikeout games. Daugherty, FloSoftball's No. 98 prospect, has been an all-league and all-county first team selection all three years of her high school career, and was named the league MVP in 2016 and 2018. As a sophomore, she was named the league pitcher of the year after recording a 0.54 ERA while fanning 248 in 116 innings pitched. The 2018 NFCA Third-Team All-American and first team all-state honoree finished her junior year with an impressive 0.47 ERA, .541 batting average and .638 on-base percentage. Daugherty helped her team to the state quarterfinals in 2016, second round of playoffs in 2017 and the state semifinals as a junior. Daugherty is a member of Texas Bombers 18U, coached by Scott Smith. She has also lettered in basketball twice and is a member of her high school's Student Athlete Advisory Committee and Link Crew. Her mother, Michelle Daugherty, played softball at UC San Diego. "Ashley has had a dominating high school career," Evans said. "She spins the ball well and has the ability to make batters swing and miss. She gets big strikeouts when her team needs it. She has the ability to make an immediate impact on our pitching staff." Ferguson, a four-year letterwinner at Kempner High School in Sugar Land, Texas, hit .533 as a sophomore with three home runs and recorded a team-leading 22 stolen bases, earning her first team all-district recognition. The outfielder earned the Golden Glove Award at her school and was named first team all-district after posting a .947 fielding percentage in 2018. As a junior, Ferguson recorded a .596 batting average and .643 on-base percentage while tallying 28 hits, 25 RBI and led her team in slugging percentage. Ferguson is a member of 18U Impact Gold, coached by KC Jackson. Her father, Robert Ferguson, was a wide receiver at Texas A&M and was drafted in the second round of the 2001 NFL Draft by the Green Bay Packers. "Star is a lefty slapper and will bring speed to our lineup," Evans added. "She plays the game with tremendous energy and passion and her energy is contagious. She gets good reads in the outfield and is capable of playing any of the outfield positions. I'm excited for Star to follow in her father's footsteps as an A&M student-athlete." Fritsch, who is ranked number No. 90 in FloSoftball's Hot 100, has lettered three times at La Grange High School under Coach Amanda Arlund. As a freshman, Fritsch helped the Leopards clinch a state championship. During her junior campaign, the outfielder posted a .560 batting average with 36 RBI, six home runs and 19 stolen bases to earn offensive MVP honors. The 2018 All-CenTex, all-state and all-star team honoree held a .474 batting average and .553 on-base percentage for her career. Sydney joins her sister, Blake-Ann Fritsch, on the Aggies' roster. Fritsch is a member of Texas Bombers 18U Gold, coached by Scott Smith, which is ranked fourth nationally. She has earned honors on the volleyball court as well including an all-district selection as a sophomore. The three-time Academic All-District recipient is involved in National Honor Society, German Club, Delta Epsilon Phi, Anchor Club, Fellowship of Christian Athletes and Lutheran Youth Organization. "Sydney adds versatility to our line-up," Evans stated. "She can play both infield and outfield. She adds a left handed bat to our lineup with power potential. I'm looking forward to Sydney joining her sister, Blake Ann, in our program. The Fritsch's are die-hard Aggies!" A three-time all-area and all-league selection, Gallegos holds a .580 career batting average with 17 home runs at Whittier Christian High School. The team captain helped lead her team to the California Interscholastic Federation – Southern Section semifinals in 2017, hitting over .700 throughout playoffs. Gallegos has been a member of the Firecrackers organization since 10U and currently plays for the 18U team coached by Sean Brashear. The 2016 Alpha Honors Athlete is also a member of her church youth group. "Hailey brings a potent bat and home run potential to our lineup and plays a solid third base," Evans said. "She is passionate about the game, exhibits great leadership qualities and is a hard worker. She has a genuine love for the game and for Texas A&M."